We want to thank you for taking the time to log on to our web site. We trust that you will enjoy learning more about our ministry in Santiago, Republic of Panama. 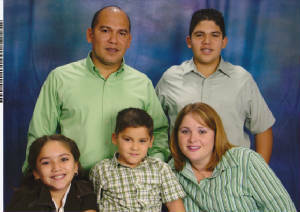 We've also included some family pictures, our personal testimonies, and some general information on Panama. Please sign our guestbook with any comments or reactions you have to our site. You can also contact us privately. We love to get mail!